Bit Tooth Energy: Waterjetting 1b - Force, Pressure and Flow volume. Waterjetting 1b - Force, Pressure and Flow volume. This is the second in a series on some of the ways in which high pressure water jets can be used. The series was introduced last week. Back in September of 2012 archaeologists found the remains of the last king of England to die in battle. He was Richard III, to whom Shakespeare gave the line “a horse, a horse, my kingdom for a horse!” He died because a blow to his head was focused down to a very high local pressure, even though the overall force of the blow might not have been that great. 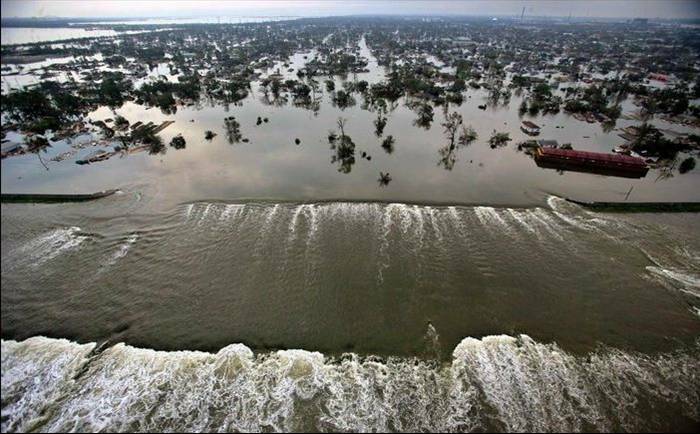 On the other hand, in the middle of Hurricane Katrina, seven years ago, a barge broke through the levee wall above the Lower 9th Ward in New Orleans, LA (NOLA) and released a wall of water that swept through the district. 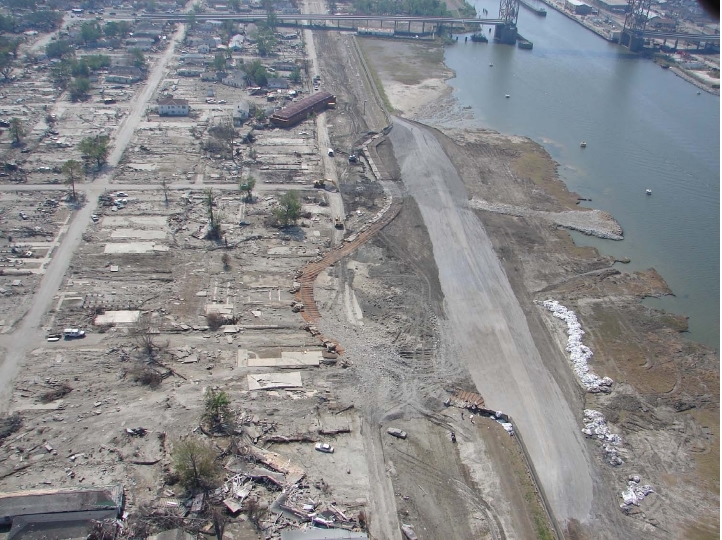 The pressure of the water was quite low, but the overall force it exerted demolished the buildings in its path, and swept them off their foundations for eighteen blocks back from the levee. In this case force, not pressure, was the cause of the damage. It is this initial relationship between force and pressure, and the role that each has to play in the use of waterjets to remove material that form the topic not only for today, but in a number of the posts that will follow. Waterjetting applications now cover a wide spectrum of different uses, and finding the best choice of pressure and flow (which combine to give power) will change from job to job, and hopefully these posts will help make the choice easier. It is raining outside. As the water drops hit the soil, the water soaks into the soil by penetrating along the existing cracks that exist between the grains of the soil. After a short time the water fills this space, and as it continues to rain, the impact of new rain drops hit the thin wedges of water that now run down into the soil. Although at much lower forces the action is the same as when you hit a wedge driven into a log with a hammer. The wedge pushes the two walls on either side apart, and a crack grows. One of the key elements that give waterjet cutting its advantage is this transformation from an impact force into a pressure, and most particularly a pressure which is applied against all the surfaces with which the water is in contact. It is a point that will be repeated many times. Figure 3. The stages of soil erosion – the white arrows in (b) and (c) show the small pressures that are exerted on the particles as additional raindrops keep falling on the water in the ground. This lifts the top two particles in (c) so that the flow of water will carry them away. With the soil there is not that much material holding the grains together, and so as the rain continues, the soil grains begin to separate from those on either side. 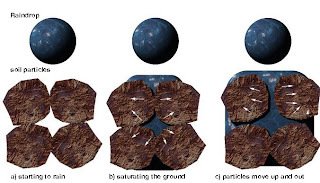 Water gets underneath the grains and starts to lift the individual grains free from the mass. 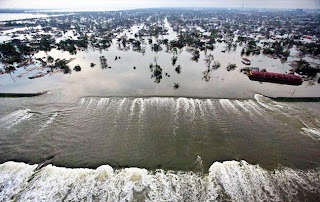 Since most land is not flat, the water will now start to flow away under the continued rain, and as it does it carries some of the soil particles that have been freed. This is a simple explanation for the erosion that happens in fields, dirt roads, and other exposed surfaces as they weather. As materials get stronger this process can take much longer to be seen. A high quality stone will erode at the rate of perhaps an inch every thousand years, depending on local weather patterns. There are buildings and bridges built by the Romans all over Europe to prove that point. A weaker granite (and one thinks of the granite in the walls of the Basilica in St Louis as an example) may severely erode within a hundred. Which brings up an important point: the performance of a waterjet stream is not just controlled by what happens upstream of the nozzle in the delivery system, but it is also affected by the material that it is hitting. And I’ll come back to that in future posts. 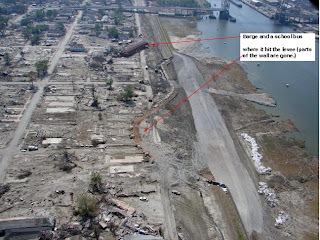 First, however, consider what happened during Hurricane Katrina in the Lower 9th Ward. 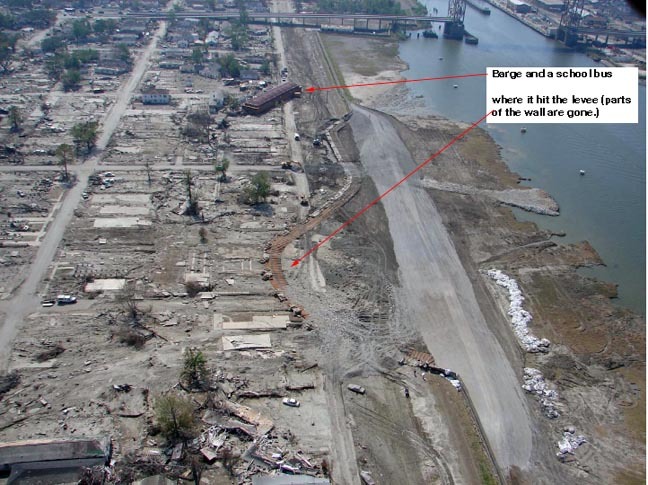 When the barge broke through the levee wall and was carried into the district, it rode on a wall of water that was initially no more than about 30 ft high. We can make a very crude estimate of the pressure of the initial wall of water (neglecting any impact due to the speed at which it moved) based on the height of that wave. A cubic foot of water weighs 62.4 lbs. It sits on an area of 12 x 12 = 144 square inches, so that the pressure under that water is 62.4/144 = 0.43 pounds per square inch (psi). Since that is somewhat close to half-a-psi, as a very simple way of getting the pressure at the bottom of a column of water one can just divide the height in two, and call it psi instead of feet. So, in the case of that wall of water the pressure at the bottom of the wall would be 30/2 – 15 psi. Since the pressure increases with depth, the average pressure over the height will be half of that, or 7.5 psi. That pressure, by itself, does not appear that powerful. But when the wave hits a building that pressure is applied over the entire wall. So if the building is 40 ft long and 10 ft high, then the area that sees that pressure is 40 x 12 x 10 x 12 = 57,600 square inches. If that small (7.5 psi) pressure is applied over the whole area, then the force = pressure x area = 7.5 x 57,600 psi = 432,000 lb. You can now perhaps understand why, when the wave hit the first rows of houses in NOLA that they almost immediately disintegrated, and were carried back as broken debris for about ten blocks. This was a terrible disaster, but there are occasions, particularly in mining, where this terrible force, combining low pressure but high volume flow rates, can be harnessed to do useful work. Such flows are something that our ancestors have known for millennia, and were used as a way of mining from before the age of pumps, and l will tell how they did it in some later articles. But in most cases we don’t have that amount of water, and the job is more often one where we want to precisely cut a hole, perhaps, in one of the walls of a building, rather than destroying the building. And we haven’t the patience to wait a hundred years to cut through a block of stone. So how do we speed it up? And so we come back to the death of King Richard. Back in the day a foot soldier could make a bit of money in a battle by knocking a knight off his horse, and then holding him for ransom. The weapon that they used for this was generally known as a poleaxe. These come in various shapes, but one general idea was to have a hammer on one side of the long pole. Thus, by swinging the pole one could hit a knight with a force of say 50 – lbs. and this could knock him off his horse, allowing him – in the best of such worlds – to be captured alive and then ransomed. 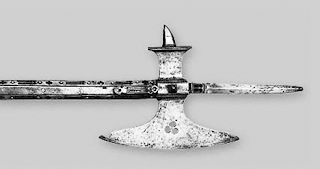 However that hammer head could measure about a square inch or two, and neither the force nor the pressure would have been enough to penetrate armor or a helmet of the type King Richard wore (Figure 1). To give the footman that advantage the design was changed to include a small spike in the center of the hammer. Now when the force of 50-lb is applied through the hammer to the target it is not distributed over a square inch (giving a pressure of 50-psi). Instead it is focused down on a point that is less than a twentieth of an inch across. Total area of the circular point comes from pi x radius squared = 3.14 x 0.025 x 0.025 = 0.002 sq inches. Pressure applied through the spike to the helmet = 50/0.002 = 25,000 psi. 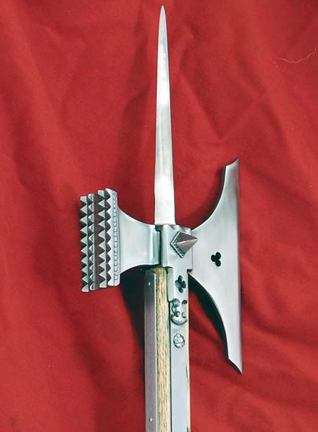 That is enough for the spike to pierce through the metal helmet and the bone underneath, killing Richard III. Battle over, England had a new king, Henry VII, and the War of the Roses was over. The intent of the two examples is to show how, in some circumstances, high volume flow rates at low pressure can do the most damage, and in others that much higher pressure applied over a much smaller area is the most effective. They are extreme examples but seek to illustrate the point, and in many cases neither extreme (highest pressure, lowest flow or lowest pressure, highest flow) will give the best answer. There are cutting conditions where operational concerns and benefits would argue that pressures of 90,000 psi, and flow rates around 1 gpm will be the best business choice. In other cases a flow of a thousand gpm, but at a pressure of 1,000 psi will be the most economic and viable way to remove soil, and weaker rocks like coal. This series is aimed, in part, at giving you the knowledge that will help you decide where, within that range, to make that balance, between flow and pressure. (For those reading this series who are not that familiar with blogging conventions, the words that are highlighted in blue are links. So that if you want to read more about that specific topic, clicking on the highlighted words will take you to a web page that gives more information). UPDATE: 1. This post was updated in 2013, after the body had been positively identified as that of the late King. The validation included a check on the DNA of the remains, which was compared with that of descendants of the family line. UPDATE: 2. This post was slightly modified on April 19, 2013 to clarify some points that were not explained as well as I thought they were. Thank you Dr. Summers for continuing to share your knowledge with us. I often reference your excellent book and your numerous papers on waterjetting as part of my job. I am looking forward to more blogs in the future. I second Dan's thanks. I am a beginner in the field, and look forward to the enormous benefit of learning from your knowledge and experience - it would be a shame for it to be lost to the winds of time and technology fashion. Thanks, gentle folk, I will try and live up to the expectation. At present these are planned to appear on Fridays.